From the start of the upcoming summer schedule, Azur Air, Russia’s largest charter airline, is increasing the depth of its flight programmes whilst launching several new routes from the country’s regional airports. 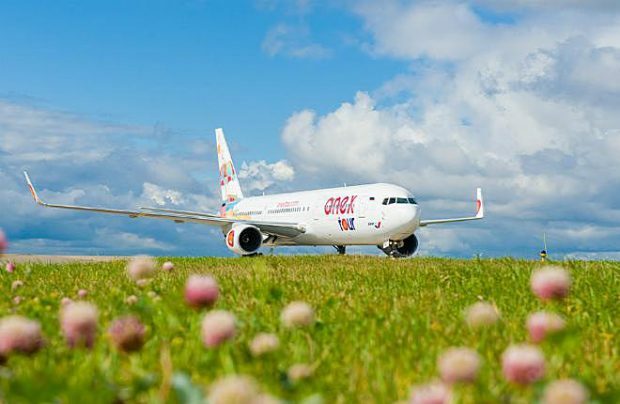 With services from Makhachkala, Magnitogorsk and Orsk to Turkey starting from April and May, and flights from Magadan to Vietnam also scheduled for May, the airline is also considering expanding its destination map of China. “In the upcoming summer season our most ambitious programmes are scheduled from Moscow and Russia’s regions to Turkey, Tunisia, Vietnam, Spain, Cyprus and another 12 countries,” reveals a statement from Azur Air. Special emphasis has been placed on Turkey this year – as the airline launches summer season flights to Dalaman from Kaliningrad and Belgorod, and flights to Antalya for Tyumen inhabitants and Surgut and Chelyabinsk are also back. At the same time, the more spacious Boeing 767-300s, with 336 economy class seats, will be operated from several Russian regions to the holiday resort destinations in the south of Turkey. According to the airline, flights to the popular Turkish resorts of Bodrum and Antalya, as well as to Cam Ranh (Vietnam) and Enfidha (Tunisia), will be operated by the airline’s flagship Boeing 777-300ERs, which offer a total of 428 seats covering both business and economy class cabins. The airline introduced the second aircraft of this type in mid-March. Meanwhile, given the burgeoning interest in air services between Russia and China, the carrier is launching a flight programme from St Petersburg to Sanya in the summer season. Last year, Azur Air, which principally operates on behalf of Turkish tour operator Anex Tour, served 4.3 million passengers, improving its 2017 result by 13.9 per cent. Also in 2018, the airline’s seat load factor reached an impressive 96 per cent, making it the highest performer in that regard in the Russian commercial airline industry. According to statistics published by Russian Federal Air Transport Agency Rosaviatsiya, at the beginning of this year the company also continued to experience growth in passenger traffic numbers, with 508,800 passengers transported in the January to February period, a 5.8 per cent year-on-year improvement. The carrier starts the new summer schedule with a fleet of 26 aircraft made up of two Boeing 777-300ERs, nine Boeing 767-300s, eight Boeing 757-200s, five Boeing 737-800s and two Boeing 737-900s.